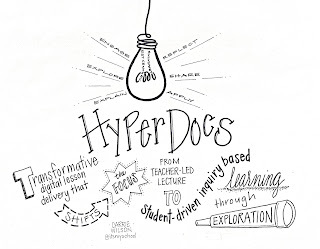 The HyperDocs.co website describes, "HyperDocs, a transformative, interactive Google Doc replacing the worksheet method of delivering instruction, is the ultimate change agent in the blended learning classroom. With strong educational philosophies built into each one, HyperDocs have the potential to shift the way you instruct with technology. They are created by teachers and given to students to engage, educate, and inspire learning. It’s not about teaching technology, it’s about using the technology to TEACH." 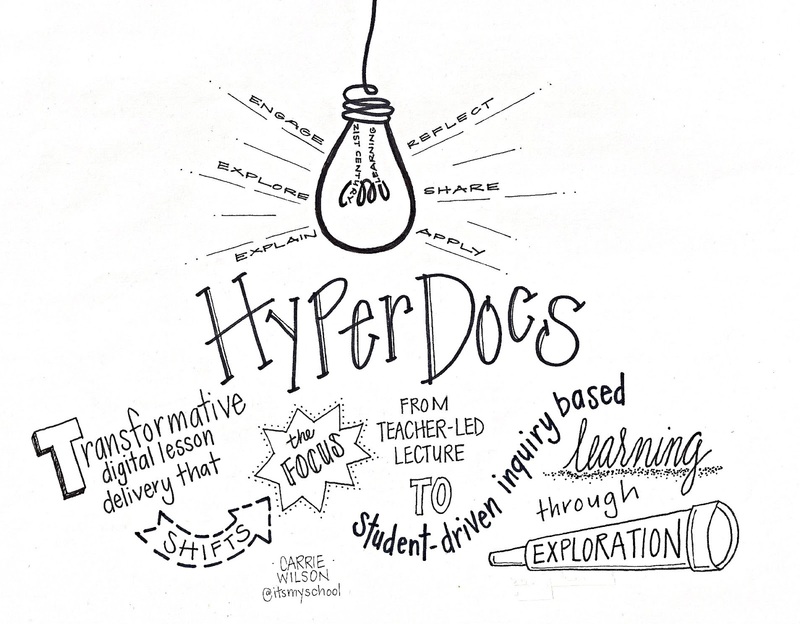 While classroom teachers and students have been having all the fun, HyperDocs can also be designed for professional development and for administrators to use with staff. Just like classroom teachers, administrators are always looking for effective strategies to integrate technology, share information, collect thinking, and problem solve. And what do all administrators wish they had? More face time with their teachers! That is why the Staff Meeting HyperDoc Template was created. This template was designed to support busy administrators who are looking for efficiency during a quick 45-minute staff meeting. If you would like to use this agenda, file + make a copy, and you can add your own content to the agenda. The learning cycle of this meeting agenda is Inspire • Connect • Explore • Reflect. EXPLORE: (20 minutes) Instead of standing and delivering information, why not try embedding a multimedia text set of resources onto the staff agenda and providing time for exploration of resources? Consider how you might facilitate the exploration time. I recommend partnering teachers up and letting them explore with two teachers and one device. When we sit with a partner and explore resources, we typically have conversations and process the information together. This also models a strategy that teachers can use with their students when exploring content. While partnerships are looking at resources, administrators can move around the room and make 1 on 1 connections. Rotate partners each time you facilitate this activity so that staff will have opportunities to connect with everyone. This builds trust, fosters inclusion, and helps everyone gets to know each other. Provide this safe digital space for staff to process information and ask questions. Allow all the voices in the room to be heard. Inspire innovation and a growth mindset by listening to new ideas and creating a shared community of change agents. Build in time to show each other quick tech tips. There is always something new to learn or something that might make our digital lives more efficient. Have a few late adopters on staff? Quick weekly PD. Build an inclusive community and encourage staff to stop and thank each other for all the things they do for each other day to day. Another role of an administrator is to meet with teachers to set individual goals and evaluate their teaching. In an effort to organize and capture the goal setting process for administrators and teachers in one shared space, The Goal Setting HyperDoc was designed. Administrators can share this document with individual teachers and use it as documentation to demonstrate goals and progress. Teachers will appreciate the clear expectations and resources for personal and professional growth. If you have a HyperDoc to share or you are looking for a HyperDoc on a different topic, please join the Teachers Give Teachers community by checking out the resources and links below. We are #bettertogether! Want more? Stay connected to the HyperDoc community!